San Antonio, rich with culture and history, is celebrating it’s tricentennial this year! We’re home to the Alamo, where the Texas Revolution took place 1836, which was also the first UNESCO World Heritage Site to be named in Texas. Not to brag, but you can find the best Tex-Mex right here in San Antonio. You can find it everywhere, including all along the infamous River Walk. Join one of our San Antonio Tours to experience and learn more about our great city! We are currently offering private group tours only for groups of 6 or more. On our Historic San Antonio Tour, start in the heartbeat of the city at the infamous Alamo. 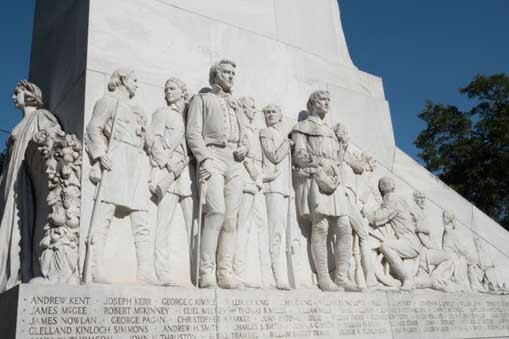 Learn about the Texas Revolution and how Mexican and Spanish culture shaped our beautiful city. We’ll also take a stroll down the famous River Walk, and share stories of Texas legends. We’ve put together a list of Frequently Asked Questions (FAQs) to help you prepare for your walk.